For those who haven't heard, Giovanni Di Palma and the group behind Antico are trying to build their own Little Italy in Home Park/West Midtown. 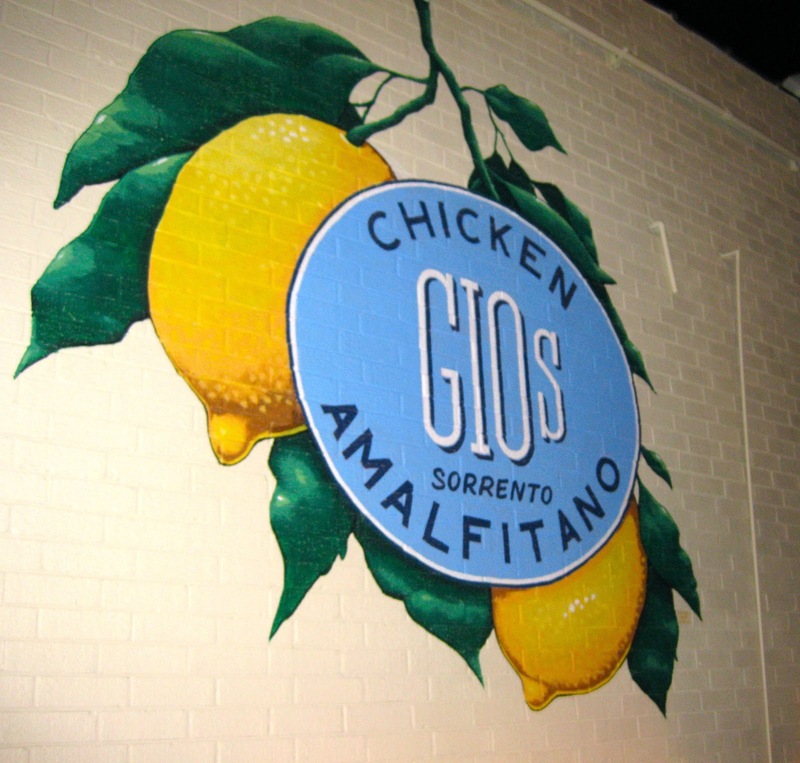 There was talk of an Antico Gelateria which would serve gelato, limoncello and coffee being built across the street from Antico but in the mean time, they've opened up Gio's Chicken Amalfitano in the large, neighboring building. 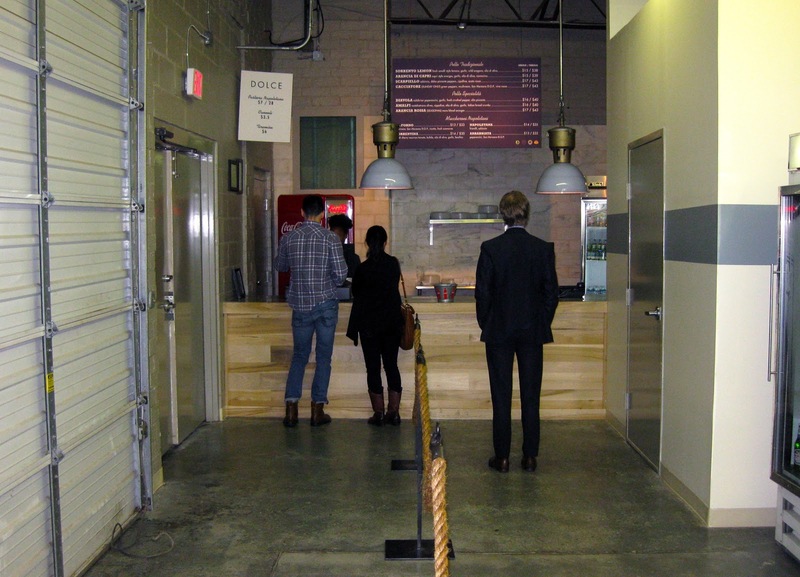 So now you have choices when visiting the Antico campus. 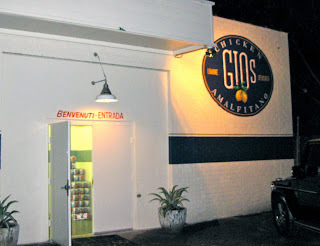 Gio's Chicken is strictly take out for the time being with plans of a dining room being opened in early January (though there already is one behind a door to the right of the entrance). I stopped in tonight to the surprisingly empty Gio's. 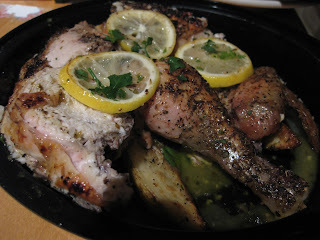 The menu is made up of seven choices of chicken preparation and four additional pasta options. Some of the chicken options play off of the popular pizzas next door at Antico, like the Scarpiello being a chicken version of the San Gennaro pie. There are also sauces and chicken soup available in a refrigerator to take home. 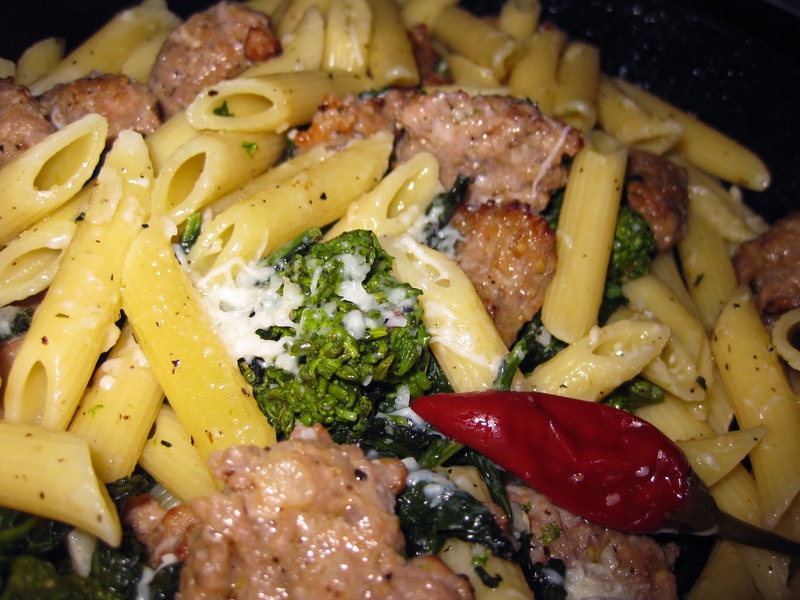 Chicken and pasta can be ordered in single (a half chicken) or family portion. Each order of chicken comes with potatoes and some bread as well making for a full meal. 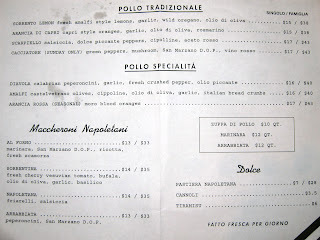 The menu can be seen here. We ended up getting a single order of the Sorrento Lemon chicken and the Napoletana pasta and had about half of the food leftover. 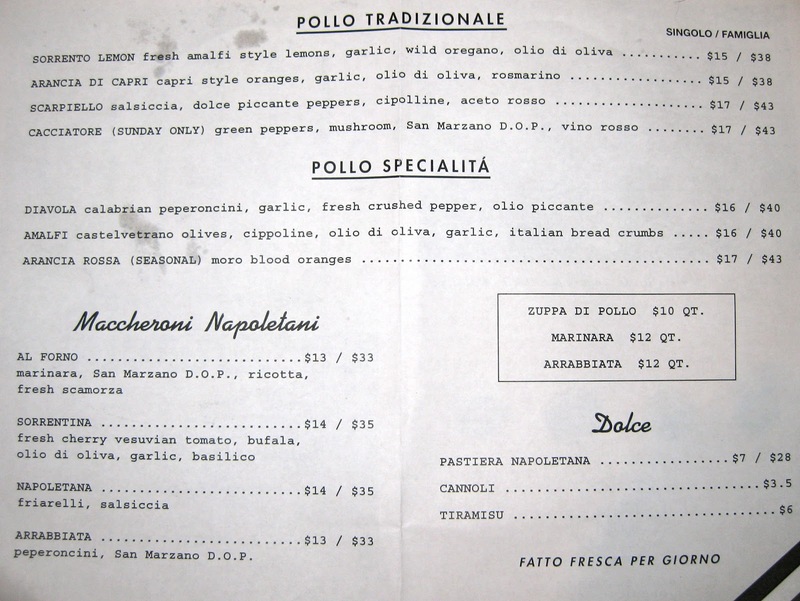 Gio's website claims, "Giovianni Di Palma has done to chicken what he's done to pizza." While the food was certainly good, that statement is a huge stretch considering that Antico is easily some of the best pizza I've ever had. You would be hard pressed to duplicate any of the pizzas at Antico, but a decent home cook could replicate if not improve upon what I ate tonight from Gio's. The chicken was good but dried out in some parts and while the skin and drippings/sauce in the togo container were flavorful, the meat of the bird was void of much flavor otherwise. The potatoes and accompanying bread (which is essentially seasoned Antico Pizza crust) was delicious. The Napoletana pasta was also good, but heavy on the oil. The sausage is the same stuff that's used on the San Gennaro pie and the broccoli rabe was cooked and seasoned to perfection. So while Gio's Chicken serves some decent food, it isn't in the same league as neighboring Antico Pizza. At least, not yet. The staff at Gio's was extremely helpful and friendly which is a welcome departure compared to some of the staff often at Antico. No degree from Le Cordon Bleu. No 25 years experience in Restaurant consulting. That's right: No formal qualification in food. Unless of course you consider that I like to eat and I do very often. Those are my credentials. I've grown up in Atlanta and find it to be a great selection of some tasty, but sometimes hidden, vittles. Additionally, I enjoy cooking and want to share my experiences in my home's kitchen with the reader.